The power of play shouldn’t be something that is underestimated when it comes to keeping your dog not just physically active but mentally stimulated. 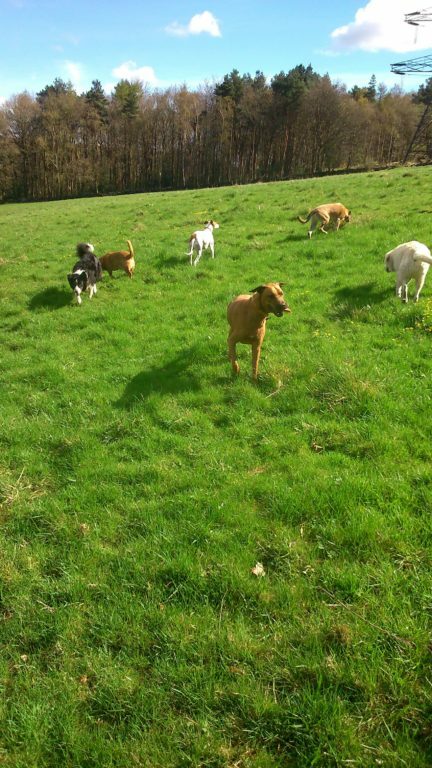 As a leading dog walking service catering to owners and their pooches throughout the Bradford area, we understand the importance of that daily exercise, but there is so much more that you can do both inside and outside to keep your canine companion’s mental, emotional and physical health in tip top condition. It’s not just fun and games, as natural explorers, and curious and intelligent problem solvers in their own right, dogs of all breeds can reap the rewards of stimulation. Dogs who are physically and mentally stimulated have been proven to be happier, more stable and even more obedient, and the interactive play tactics used can even strengthen the relationship between dog and owner as well as your furry friend’s relationship with other members of the family, including other pets. Read on to discover our top tips for keeping your dog stimulated, and make dog enrichment a fun and beneficial part of your life. Toys are of course an integral part of puppy and dog play. Whilst a bevy of colourful and stimulating toys is great, keeping this collection fresh and interesting for your dog is important to the level of stimulus your dog receives during those short and long bursts of play. In our busy lifestyles, getting out and about with your dog during weekdays on the same long and winding walks you enjoy come the weekend isn’t always possible, especially with the early dark nights that the autumn and winter seasons bring. 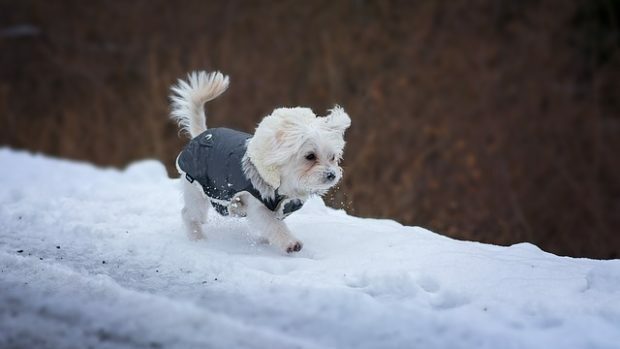 Unfortunately, most people don’t walk their dogs enough, but daily walks are an integral part of maintaining their mental and physical health. Give your dog a chance to experience new things, meet new people and spend some quality time with those closest, the energy that they burn will also make those evenings a little quieter. Getting out for those long daily walks is easy with our friendly and reliable dog walking service. As dedicated pet owners, we work with you to develop a daily, weekly or monthly plan to suit your exact needs, whether you can’t walk your dog as often as you’d like due to work commitments or aren’t fit enough to make those daily journeys yourself. It’s likely that during the first year of your dog’s life you attended a puppy obedience course but training shouldn’t end after the basics have been taught. Continued training provides a great opportunity to bond with your dog. Whether you hire a private dog training specialist, attend a group training session or do it yourself, training and teaching your old dog new tricks is an excellent way to keep everyone involved happy as you can set the rules and boundaries that your dog needs, and they can burn lots (and lots) of mental energy in the process. It’s a win-win! Regular training sessions are another step to introducing another stimulus. Training is a great way to try new treats and your dog will love it. When it comes to training make sure you keep things consistent, keep training sessions and techniques regular, and stick to the rules and boundaries that you set. Some of the biggest problems seen by professional dog trainers and handlers are caused by the simple act of inconsistency, so determine what is acceptable behaviour and what is not allowing your dog to understand when they have done something wrong. Getting into or keeping your dog in good shape is extremely important, and many dog owners have a somewhat skewed view on what is skinny and what is overweight in the dog world, especially when it comes to looking at the weight of their own dog. Most of us are guilty of giving too many treats or going a bit overboard on portions at meal times, but the general sentiment remains – if it’s there, your dog will eat it, and eat it all! A healthy dog at its optimum weight is a happier one and whilst your dog can’t tell you how uncomfortable carrying their excess baggage is, an overweight dog will have temperature regulation issues; will not be able to play for as long, despite their efforts; and will be at an increased risk of developing a variety of serious health problems. Watch your dog’s weight, and if necessary take action to limit their food intake and/or change their eating habits. The three ‘P’s are easy to remember and even more fun to try out. Praising your dog both verbally and physically will help you maintain that unbreakable bond, and you don’t even have to wait until your next training session to get started. Even just five minutes of petting and praising a day can increase your dog’s well-being ten-fold. Playing is another way to maintain the relationship between you and your dog. No matter what age your dog is, play should form an important part your day, and whether they are interested in toys or not, there are several games that you can introduce with or without props. You can’t help but feel loved when you’re being pampered, we all know that, and whilst your dog doesn’t have to be bathed weekly, regular baths will keep them looking, smelling and feeling great.